I love having a new colour on my nails and I feel so unkept if I don't have my nails done or if I am walking around with them chipped! 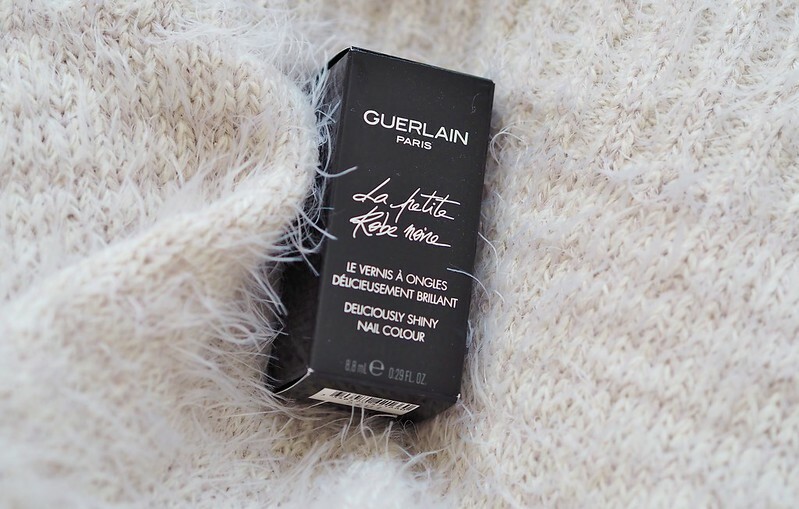 I was given the opportunity to try a newest nail offering which is the, Guerlain La Petite Robe Noire Nail Polish*. I chose the shade 'Red Bow Tie' as you can't go wrong with a Red as it looks pretty with most outfits, especially a neutral toned look like my outfit above. 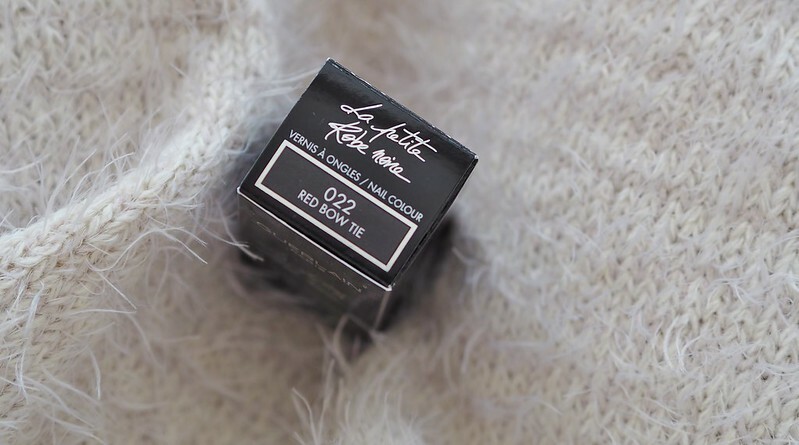 The formula of this nail polish is perfect. I'm quite fussy with nail polish - if it's too gloopy or thick on application I will most likely remove it within a day or two as it just doesn't look or feel great at all. This applied amazingly, opaque coverage within one coat which gilded on easily. The brush pretty much does all the work too, as it's wide enough to cover each nail in one easy coat. This polish is also scented which I noticed after I applied it. It has a soft smell which smelt like fruit sweeties. 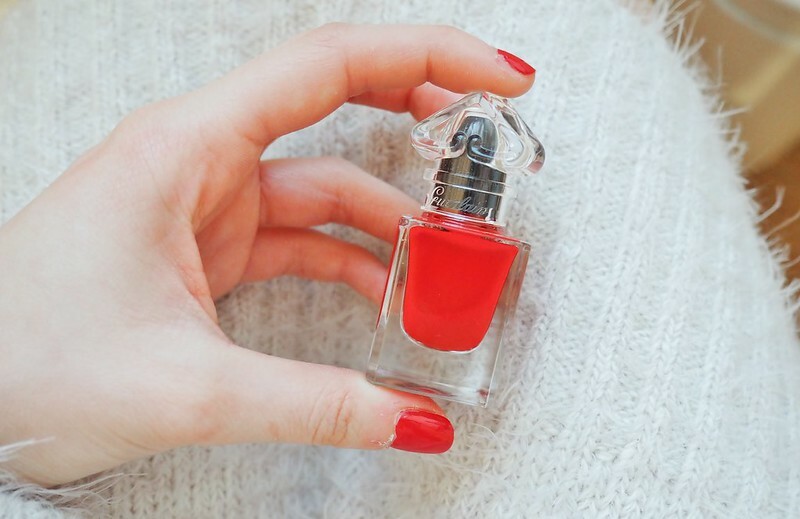 This polish is definitely a winner! How amazing are these shoes?! I first spotted these in Primark about a month ago and purchased these in a Khaki shade as I wanted to go for something that wasn't black! I loved wearing them so much, they are so comfortable and are something different from my usual everyday pick of boots and trainers at the moment! I loved the Khaki pair so much I went back to Primark on a hunt for more colours and saw this gorgeous Rust coloured pair. I love this colour in my wardrobe and feel like they go with quite a few pieces I have for Spring. They also had a Black pair which I do think I will eventually buy as they are just a staple shoe to have and make any outfit look classy with the lace up detailing and pointed shape. This day was surprisingly sunny! So I got to wear my Rose-Gold Ray-bans for the first time this year which go perfectly with the shoes. I also kept the warm toned palette of this outfit going with my favourite faux suede Zara bag and duster coat from Boohoo which will hopefully be getting more wear from me as the weather gets a little better!